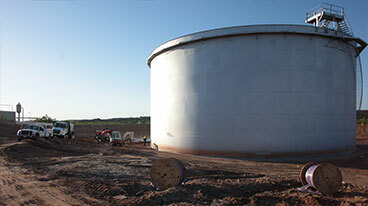 August 2011 | Matcor, Inc.
Amarillo — A tiny crack led to a big blowout of the pipeline carrying half the city’s water supply. About 2 million gallons of water started gushing up to 50 feet in the air because the Carson County Wellfield transmission pipeline had corroded from the outside in. The pipe consists of a cement layer inside a steel pipe that is wrapped with steel cable and coated with cement. When the cable, the last line of defense, also corroded, the pipe opened up on the side of Texas Highway 136 just northeast of the city. The crack could have happened during the manufacturing process or installation, said City Manager Jarrett Atkinson, but the exact cause is unclear. Because the 45-inch-wide pipe is no longer a standard size, the city is having four sections made to have on hand. The interconnect will run between the Carson County line and the transmission line from the new Potter County Wellfield that is set for completion in November. It will allow the city to send water from one pipeline to another in case of a failure in one, keeping the water flowing. The cost of repairs, which took just more than two days including disinfecting and testing is unknown at this time. Nearly one year after the fatal explosion of a PG&E Corp. natural gas pipeline in San Bruno, Calif., the National Transportation Safety Board plans to approve a final report on what caused the accident and issue pipeline safety recommendations in an effort to avoid repeating the tragedy, the agency’s chairman said Monday. On Sept. 9, a PG&E pipeline in San Bruno, south of San Francisco, exploded, igniting a fireball that killed eight people, injured 58, destroyed 38 homes and damaged 70 others. The NTSB has made several pipeline safety recommendations over the last several months as a result of its investigation into the San Bruno pipeline explosion. Among them, the agency suggested that the nation’s gas pipeline operators should ensure that they have accurate documentation for all their pipelines, particularly aging pipes like the 55-year-old Line 132 that exploded in San Bruno. The NTSB has suggested in interim reports that poor record-keeping and a lack of safety tests by PG&E likely masked manufacturing defects in the San Bruno pipeline. The agency also found that the company didn’t provide the local fire department and other emergency responders with information they needed to react properly to the pipeline explosion. The U.S. Department of Justice has been leading a criminal investigation into the explosion, and several lawsuits have been filed against the utility. On Friday, PG&E’s utility proposed spending $769 million over three years to test its natural gas pipelines, using high-pressure water techniques, as part of a $2.2 billion pipeline-safety program. The utility also proposed expanding the use of automated pipeline shut-off valves. In June, the California Public Utilities Commission ordered PG&E and the state’s other natural gas utilities to make plans to test or replace their gas transmission pipelines that haven’t been pressure-tested. The plans are part of the CPUC’s effort to beef up the state’s pipeline safety regulations and improve its own oversight over the state’s thousands of miles of natural gas pipelines. PG&E has said damage claims from the accident could total as much as $400 million, and that other costs associated with the accident could total $1.1 billion through 2012. PG&E Corp. (PCG) on Friday proposed spending $769 million over three years to test its natural gas pipelines as part of a $2.2 billion pipeline safety program, following a deadly pipeline explosion last year. PG&E said it will pressure-test all of its untested pipe segments and expand use of automated pipeline shut-off valves. The utility has proposed passing on the cost of the project to its customers, with a $250 million rate increase in 2012 and subsequent increases of $30 million and $80 million in 2013 and 2014, respectively. Overall, the utility said it plans to spend $2.2 billion through 2014 on pipeline safety costs. In June, the California Public Utilities Commission ordered PG&E and the state’s other natural gas utilities, owned by Sempra Energy (SRE), to file by Friday plans to test or replace their gas transmission pipelines that haven’t been tested with high-pressure water techniques. The plans are part of the CPUC’s effort to beef up the state’s pipeline safety regulations and improve its own oversight over the state’s thousands of miles of natural gas pipelines. On Sept. 9, a PG&E pipeline in San Bruno, Calif., exploded, igniting a fireball that killed eight people, injured several others and destroyed 38 homes. The National Transportation Safety Board, which has been investigating the cause of the explosion, is scheduled to issue a final report on its findings Aug. 30. The NTSB has suggested in interim reports that poor record-keeping and a lack of safety tests by PG&E likely masked manufacturing defects in the 55-year-old San Bruno pipeline. The agency also found that the company didn’t provide the local fire department and other emergency responders with information they needed to react properly to the pipeline explosion. In June, an independent panel of experts concluded that PG&E had a “dysfunctional culture” that gave little heed to public safety or the high level of technical expertise needed to safely operate a gas pipeline system. The CPUC has launched a separate probe to determine whether PG&E’s poor record-keeping violated any rules or laws that might warrant penalties. The CPUC also is considering new pipeline-safety rules for PG&E and other pipeline operators in the state and has promised to beef up its oversight of PG&E and the state’s pipelines. Earlier this month, PG&E announced it hired a new chief executive, Anthony Earley, to replace former CEO Peter Darbee, who left the company in the wake of the disaster. The company has said damage claims from the accident could total as much as $400 million, and that other costs associated with the accident could total $1.1 billion through 2012. In July, credit rating company Fitch Ratings lowered its outlook on the company, saying continued fallout from the accident has added uncertainty to its credit status. The utility said Friday it will enhance electronic monitoring of its gas system to quickly identify ruptures and replace segments in need of new piping. It also plans to transition to electronic records from paper documents to streamline the testing and repair process. “This plan represents a clear break with the way PG&E and other gas utilities once approached pipeline safety,” Nick Stavropoulos, PG&E’s new executive vice president of gas operations, said in a statement. (Reuters) – U.S. regulators sought public input on Wednesday about the need for increased oversight of the country’s natural gas pipelines, as part of a push to strengthen safety after several deadly accidents. The U.S. Transportation Department asked for comments about whether certain regulatory exemptions for pipelines built before 1970 should be eliminated and whether rules regarding pipeline integrity should be expanded. “Incidents with significant consequences continue to occur on gas transmission pipelines, and this action will help us determine whether new requirements are needed to increase safety,” Cynthia Quarterman, head of the department’s pipeline oversight agency, said in a statement. A 2.5-million-mile (4-million-km) network of pipelines crisscrosses the United States, carrying everything from crude oil to natural gas to refined products such as gasoline and jet fuel. The department launched an oil and gas pipeline safety initiative in April after a series of high-profile accidents in the country’s aging web of pipelines. An explosion on a natural gas pipeline operated by UGI Utilities killed five people this past February in Allentown, Pennsylvania, while a blast on a PG&E Corp line in California last year killed eight people. Many pipelines date to the 1960s or earlier and old lines are rarely retired. The overall length of active U.S. pipelines has grown more than 20-fold since the 1920s. As part of its safety push, the department is also asking for feedback about the need to reduce operating pressure for some pipelines that are more than 40 years old. Pipeline safety has actually improved sharply over the past 20 years. But from 2006 through 2009 U.S. oil and gas pipeline accidents killed 56 people, caused $1.2 billion in property damage and spilled 381,000 barrels of oil, government data shows. Recent oil spills from TransCanada’s Keystone pipeline, as well as Exxon Mobil’s Silvertip line, have also raised concerns about the environmental risks posed by crude oil pipelines. Earlier this year, the Senate commerce committee approved legislation that would raise fines against reckless operators of petroleum and natural gas lines and require automatic shut-off valves to prevent oil spills and gas explosions. When an earthquake hit Virginia Tuesday afternoon, nuclear power plants up and down the East Coast — including Exelon Nuclear’s Limerick Generating Station — began assessing if damage had occurred. Part of the problem, however, may be that the place an earthquake is most likely to cause damage is also the place the hardest to inspect — underground. Making that scenario more worrisome is a June investigative report by the Associated Press which found that as the nation’s nuclear fleet ages, much of its underground infrastructure, exposed to corrosion – and is constantly exposed to moist conditions, may be deteriorating even faster. Assessing earthquake damage is not a simple operation given that “each plant has unique design specifications for seismic resistance,” according to Nuclear Regulatory Commission spokesman Neil Sheehan. Called its “design basis,” each plant is “built to withstand the largest historical earthquake in the area, with additional margin on top of that,” Sheehan wrote in an email answering questions from Journal Register News Service. Sheehan noted that in the wake of the Mineral, Va. tremblor, “walk down” or visual inspections “of key infrastructure at each facility” at all nuclear plants were conducted both by plant personnel and independently by the resident NRC inspectors at each plant. “No structural damage has been identified at any of the affected plants,” he wrote. But while visual inspections may have found no damage, any underground damage not evident to the naked eye could only be identified by a change in readings for pipes, gauges or underground valves, according to Sheehan. “Any significant impacts on buried piping would be readily noticeable via changes in flows. Also, plant owners are required to perform flow tests on safety- and non-safety-related piping at regular intervals,” Sheehan wrote in his email. “Whether those checks would need to be accelerated in light of yesterday’s earthquake will have to be determined,” he added. Although some of those leaks occurred at plants owned by Exelon, no such leak has ever been reported at the Limerick Generating Station. In other words: surface spills, not underground leaks. The tritium was the result of spills, not underground leaks, that had all occurred “in isolated areas on the plant property where you don’t normally find tritium” and had all been reported to the NRC and to the Pennsylvania Department of Environmental Protection. All the spills were “within our permitted discharge levels” and there were no fines or violations associated with them and the spokesperson said the tests showed none of Limerick’s underground systems were leaking in 2006. But there were leaks at three Illinois nuclear plants owned by Exelon, one of them from an underground source that went on for four years. The AP reported that “nuclear operators have failed to stop an epidemic of leaks in pipes and other underground equipment in damp settings. The country’s nuclear sites have suffered more than 400 accidental radioactive leaks during their history, the activist Union of Concerned Scientists reported in September. “Plant operators have been drilling monitoring wells and patching hidden or buried piping and other equipment for several years to control an escalating outbreak. All of which occurred, presumably, without the added stress of an earthquake on aging materials exposed to corrosion. In addition to publishing an assessment of NRC investigation and enforcement following incidents at plants in 2010, The Union of Concerned Scientists recently issued a set of recommendations for ways NRC could improve safety at the nations 104 nuclear reactors. • “The NRC should require plant owners to use multiple inspection techniques to ensure detection of any degradation in aging, high-risk equipment. RUSSIA — The recently commissioned Dzhubga – Lazarevskoye – Sochi Pipeline will not only bring gas to the city of Sochi, Russia, but to the Olympics as well, as Sochi is transformed into a Winter Olympics Games host city and a mountain resort. Up until recently, half of the Black Sea coast cities and town relied on either expensive LNG or the 30-year-old Maikop – Samurskaya – Sochi gas pipeline for their natural gas, with the latter often experiencing gas supply issues due to the complex geological conditions along the pipeline route. In light of the upcoming 2014 Winter Olympics, to be hosted in Sochi, the Government of the Russian Federation decided to construct the Dzhubga – Lazarevskoye – Sochi gas pipeline to enhance the reliability of the regional gas supplies, and deliver gas to the sports venues commissioned for the 2014 competitions. In addition, the pipeline was also planned to assist in the development of Sochi as a mountain resort. Ensuring a reliable gas supply would allow health resorts to remain open all year round, attracting tourists in the autumn and winter seasons and creating permanent jobs for local residents. The 171.6 km, 21 inch diameter pipeline, which was commissioned by Gazprom in June 2011, has an annual throughput capacity of 3.8 Bcm/a, which aims to ensure gas supply to Sochi, as well as to the Tuapse district of Krasnodar Krai. With 90 per cent of the pipeline – or 159.5 km – located offshore, the pipeline route runs along the bottom of the Black Sea, approximately 4.5 km away from the coastal line in water depths of approximately 80 m, to the Kudepsta gas distribution station near Sochi. The pipeline is made of high-strength steel, with a wall thickness of 15 mm in the offshore section and 11.3 mm in the onshore section. Gazprom began construction of the pipeline in September 2009, and made environmental safety a priority due to the fact that the pipeline – according to the company – ‘crosses the most climatically attractive and, therefore, the most cherished areas of [Russia] – the Black Sea coast of the Krasnodar Krai’. Several steps were taken to reduce interference with the coastal flora and fauna. The most vital biocycles of the local fauna species were taken into account when the pipeline’s construction schedule was devised, and directional drilling was used instead of trenching for the construction of landfalls near the cities of Dzhubga, Novomikhailovsky, Tuapse and Kudepsta. The decision to include an offshore section in the pipeline route has considerably minimised impact on industrial and agricultural industries, and forest lands, as well as specially protected natural reservations. Cathodic protection was adopted to protect the pipeline, and precautionary measures were also taken to protect the pipeline in case of natural incident such as direct lightning strike and electromagnetic impact. In addition, the pipeline has been designed to withstand magnitude nine earthquakes, based on seismic survey data collected early on in the project. Concerns over the well being of miles of hiking trails in High Point State Park slated to be traversed by the Tennessee Gas Pipeline Co.’s natural gas pipeline expansion project competed with worries over explosions and mudslides from residents at last week’s public hearing in Montague. Tennessee Gas is installing a new, 30-inch gas pipeline over 128 miles in seven looping segments in Pennsylvania and New Jersey. The public hearing held Wednesday was regarding permits to begin the five-mile section of the project that will traverse High Point State Park. Vernon residents passed out photos detailing recent damage from rainstorms and mudslides that hit the municipality and washed sediment from pipeline work into residential neighborhoods. Vernon Mayor Victor Marotta said Tennessee Gas crews were quick to respond and fix the muddy mess. However, the quick response to the Vernon issue did little to quell concerns from hiking trail advocates, who fear such land disturbance will be a death-knell for the park’s premier pathways. Chris Ingry, from the New York/New Jersey Trail Conference, raised concerns over the closing of federally protected trails such as the Appalachian Trail for the pipeline construction, and the long-lasting effect the expansion project will have on trails. Judeth Yeany, the chief lawyer for the state Department of Environmental Protection’s Legal Services and Stewardship Division, said the state will get between $7 million and $8 million for the lease of more than 30 acres in three state parks affected by the pipeline project. This revenue will be funneled into the general budget of the state park system’s operational accounts, Yeany said. “We don’t need the High Point State Park to generate revenue that will just be sent to Trenton,” resident James Guimes said. The proposed lease agreement will require Tennessee Gas to purchase 120 acres that will be added to state Green Acres rolls as a replacement for the land taken from the state parks. However, the additional acres are not required to be adjacent to High Point State Park. Mike Helbing, from the Metro Trails Crew division of New York/New Jersey Trail Conference, said the list of trails identified by the Tennessee Gas report left out a number of pristine hiking paths, including the Highlands Trail, that are under federal protection through the National Trail System Act. Dan Gredvig, the manager for the Right of Way and Permitting division of El Paso Corp., the parent company of Tennessee Gas, said the initial list of trails is a “work in progress,” and the input from the speakers at the meeting will be reviewed by the company. The phase of the pipeline project that will run through High Point State Park will clear trees from a five-mile long, 125- foot wide swath of land. Michael Cee, of Vernon, asked what the company will do with the tons of lumber that will be generated by the clear-cutting. Gredvig told Cee that the possibility of cutting the lumber and making it available for residents as firewood would impact the work space of pipeline crews and would not be feasible. Sandyston resident Debbie Brick raised safety concerns of a possible explosion of the pipeline. “Has your company ever had any pipeline explosions in the past?” Brick said. Gredvig said Tennessee Gas has had incidents where portions of the company’s pipelines, which run from the oil fields near Houston up into New Jersey, experience leaks and explosions. Beverly Budz, vice chairman of the Vernon Township Environmental Commission, raised concerns over the impact the pipeline work will have on the state park as well as current issues rising out of the ongoing pipeline work that is cutting through Vernon. Budz passed out recent photos of the mudslide that washed sediment from the pipeline work site onto residential roadways in condominium developments at the Great Gorge Resort in Vernon during recent heavy rain storms. Marotta said the mudslide did not affect any municipal roads and was confined to the resort area. He said crews from the Tennessee Gas immediately responded to the incident and were able to clear the debris from the roads once the storms relented. According to a Rutgers University study on the economic impact of the pipeline expansion project, the construction of the pipeline will bring 695 jobs into New Jersey for the three years the project is expected to run. The state will see an additional $63 million in revenue through increased retail sales and tax revenues the project brings with it. Government safety inspectors have blasted oil companies for failing to deal with serious corrosion on North Sea rigs that could put lives in danger and lead to a disaster. On one rig corroded pipes led to a “significant quantity” of gas leaking and it was “fortunate” there was no explosion.The revelations are in reports from the Health and Safety Executive (HSE), which launched an inspection program last year over concerns about oil platforms and pipelines which are being used beyond their expected lifespan. The documents obtained through Freedom of Information by an oilworkers’ union reveal the HSE has issued improvement notices to rig operators after its inspectors found evidence of corrosion that could have resulted in severe damage in at least three installations, two off the Scottish coastline. Industry representatives said the inspection programme had shown that most rigs had effective anti-corrosion programmes in place. But the Scottish National Party’s Westminster energy spokesman said the latest reports strengthened the argument for the Scottish Parliament to be given new powers to regulate the offshore industry. The documents have emerged following the leakage of more than 200 tonnes of oil from a pipeline from Shell’s Gannet Alpha, 112 miles offshore from Aberdeen. The most serious incident revealed by the FoI requests happened in October last year on the Brae Alpha rig, operated by the oil company Marathon around 100 miles north-east of Aberdeen. It also pointed out no gas detection coverage was available in the area of escape. The HSE ordered Marathon to review its systems for inspecting for corrosion by March this year. Another serious example of corrosion involved the Balmoral Platform, operated by Premier Oil, 135 miles north- east of Aberdeen. Of the Brae Alpha incident, he said: “We find it astonishing that this significant gas leak was only discovered by a worker actually smelling the gas. Well done to the worker and thank God he wasn’t suffering from a cold. 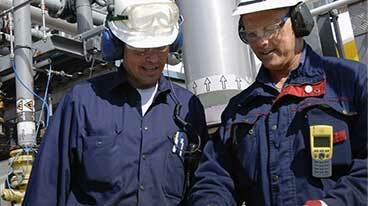 But think about it – no gas detection system. Officials with PG&E have reached their conclusion about what caused a natural-gas pipeline to explode in San Bruno last September. And they have concluded the event was not the utility’s fault. Federal investigators asked PG&E, the agency that regulates it, the city of San Bruno and other parties to submit analyses about what caused and contributed to the San Bruno disaster, which took eight lives and decimated a neighborhood. In comparison, the city of San Bruno and safety officials with the California Public Utilities Commission cited factors such as PG&E’s poor record-keeping practices, its use of nonrigorous testing methods, decisions by its management, and the utility’s inadequate pipeline safety practices as possibly contributing to the disaster. Swanson also pointed to the introduction of PG&E’s 13-page assessment, in which the utility struck a humble tone. “PG&E does not want the narrowness of this focus to suggest that it has not learned a broader lesson from this tragic accident,” the introduction stated. Ultimately, however, the document identified the probable cause of the disaster as a poor weld along the pipeline that exploded, which it indicated was “completed at a mill by a manufacturer” and not PG&E. The utility also concluded that pre-rupture actions of PG&E personnel “were timely and reasonable” and did not contribute to nor exacerbate the damage caused by the explosion. PG&E’s emergency response has been widely and acutely criticized, because the company was unable to shut off the gas flow for about 90 minutes after the rupture, leading to an expansion of the fire that consumed the Crestmoor neighborhood. Mindy Spatt, a spokeswoman for The Utility Reform Network, said she was hardly surprised that PG&E would reject responsibility for the accident even after it issuing a public apology. “This is why we have regulatory agencies, because it’s predictable that PG&E would say ‘not our fault,’” Spatt said. STILLWATER, Minn. — Temporary load restrictions begin Thursday for the Stillwater Lift Bridge after the discovery of significant corrosion on some of the bridge’s components. The Minnesota Department of Transportation (Mn/DOT) says crews discovered the corrosion during a regularly scheduled inspection. Mn/DOT crews are expected to begin work on the bridge later this week. Repairs should be finished in one week to 10 days. Meantime, supporters of a new bridge say this latest development only strengthens their case for going forward with construction. “It’s yet another wake-up call that we need a new bridge. It’s an 80-year-old bridge. July 1st it celebrated its 80th birthday. You can keep pouring money into it, but it’s going to keep deteriorating,” said Stillwater Mayor Ken Harycki. Just this week, Gov. Mark Dayton denied a request by 30 environmental groups to consider a plan for a much smaller bridge on the St. Croix river. Dayton and bridge supporters have argued the latest plan — calling for a $690 million, four-lane bridge — would cause the least harm and enjoys the widest support. Dayton has said he wants Congress to approve the project by late September or he’ll consider shifting more than $360 million in federal and state funds to other projects. Congress needs to pass an exemption to the U.S. Wild and Scenic Rivers Act. The bridge is also scheduled for a repair project in fall 2012.